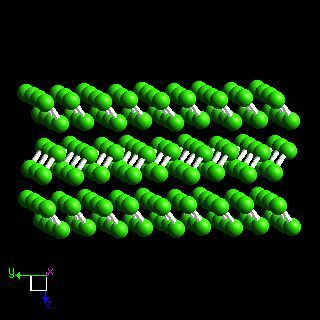 Chlorine crystal structure image (ball and stick style). 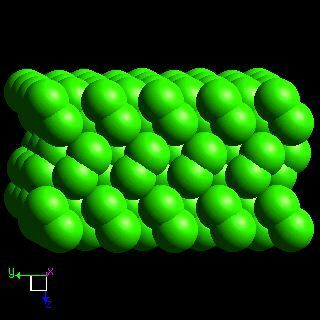 Chlorine crystal structure image (space filling style). B.M. Powell, K.M. Heal, and B.H. Torrie, Molecular Physics, 1984, 53, 929.